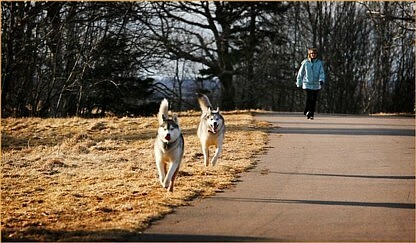 These happy huskies look like they’re ramping up the running to get in shape for Alaska’s famous sled race. This entry was posted on March 25, 2007 at 11:03 pm and is filed under Pictures, Raising Awareness. You can follow any responses to this entry through the RSS 2.0 feed. You can leave a response, or trackback from your own site.